We have Spring foals yearly, some adult horses. 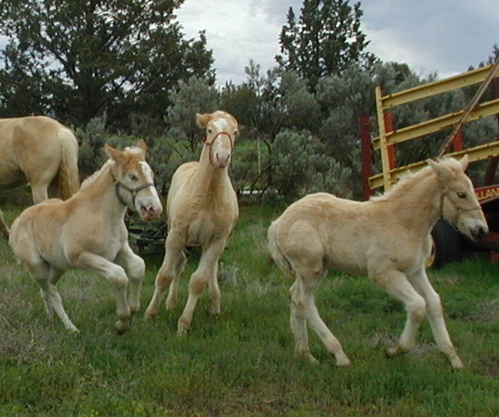 Typically, foals are already spoken for well before foaling. If you think you might want one of our foals, please contact us early. Sometimes we have information on other American Cream foals that become available prior to or after birth. Please contact us if you are interested. We keep all foals until they are weaned. Thank you for your interest. We'll show the Year 2011 foals soon after they arrive. We're making space for the pictures now. Send email for more information. New sales soon check for updates.